Kawasaki is investigating the possibility of running a three-rider factory team in the 2008 MotoGP world championship, MCN can reveal. In a bid to bolster dwindling grid numbers, Dorna boss Carmelo Ezpeleta has issued financial incentives to get Kawasaki and Suzuki to extend their premier class involvement beyond the two-rider factory teams they currently enter. Suzuki is currently locked in discussion with Spaniard Jorge Martinez about a third bike lease deal, and now Kawasaki bosses have confirmed they are conducting an internal feasibility study on running a third bike. Unlike Suzuki though, Kawasaki’s proposed third ZX-RR would be kept under the direct control of the factory team and not supplied to a satellite team. 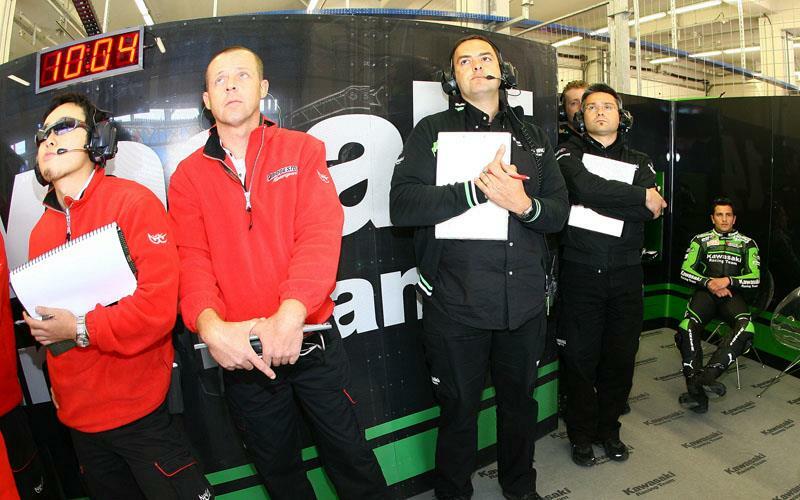 Kawasaki boss Michael Bartholemy confirmed the discussions to MCN at last weekend’s Italian GP in Mugello. He said: “We have had meetings with Carmelo about a third bike and that is normal. “We are talking about this internally now. It will not be possible to have a satellite team in 2008. The only possibility, and this has not yet been finalised, is to have a third bike in the factory team. Bartholemy, who is in hot pursuit of several big name riders for 2008 including Loris Capirossi, Marco Melandri, John Hopkins and Chris Vermeulen, said a final decision had to be taken by the Czech Republic GP in Brno in August. One proposal is that the third bike for next season will be a 2007 spec machine, fitted with selected new ’08 performance parts.